Hey, I’m Angela, but nearly everyone calls me Ange. Grab your drink of choice (don’t worry, I won’t judge if it’s a cheeky lunchtime chardonnay) and let’s get down to business. I’m a copywriter with a diverse range of industry experience. But what I love more than anything else is food and beverage copywriting. I’ve written for restaurants, meal delivery services, food subscription businesses, caterers and more. And with a solid foundation in SEO copywriting, you can think of it as copy to get your business cooking. Looking for a copywriter who can understand your business quickly and deliver fluff-free copy quickly and on budget? As a B2B and professional services specialist, I’ll write accurate yet simple to understand messages that help customers understand what you do and why your business is the right choice. I’ve worked for some of the world’s biggest brands – like IBM, as well as a range of small businesses, in sectors ranging from technology, health and wellbeing, financial services, and business consulting. Now I love the diversity of working with small businesses and helping you connect better with your customers and stakeholders. I love getting to find out more about different businesses and getting to the heart of your story. With my background in public relations, I can help you to find the right angles to stand out from the crowd and connect with your target audiences. My services include website copy, blogging, award entries, brochures, email marketing and more. All brilliantly researched and sprinkled with just the right amount of sugar and spice. 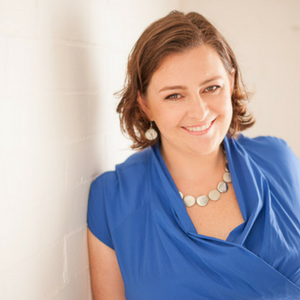 To have a chat about how I can help your business, get in touch today! We engaged with Angela to write an award submission for the financial services industry. After speaking with other copywriters, we chose Angela because she was competitively priced and very easy to deal with. Angela made an overwhelming task for us seem very easy and she explained our services in a way that we simply couldn’t. We are extremely happy with the content she has created for us and can’t wait to see if we are nominated for the award. Angela was referred to me by Kate Toon who is herself a top-notch copywriter. Angela did a great job on several pages of my website. She also did a comprehensive SEO audit and keyword research. I would definitely use her again in the future. 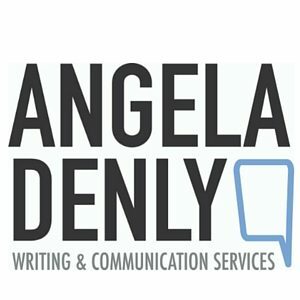 I highly recommend Angela for any copywriting! I recently engaged Angela Denly to write copy for our new website. Our business had previously relied solely on word of mouth marketing and we felt overwhelmed by the process. Angela was recommended by a friend and I’m glad we chose to work with her. She made the process simple and straightforward, understanding our business and our audience instinctively. We gave Angela our Handbook, Information sheet and we met, so she could get a sense about the business. Within a short period of time she had sent back a Draft Copy which was a perfect balance of fun yet professional. I’m happy to recommend Angela to any businesses looking for an affordable and reliable copywriter, who is also fun to work with. I was recommended Angela’s services when I was looking for help writing content for my App. I am very happy I took their advice. With the help of Angela and her excellent editing skills I created and recently launched my app ‘WotBaby’. Angela played a big part in bringing my idea to life. She was professional, friendly, patient and extremely helpful throughout the whole process. This was a very new experience for me and i was faced with many challenges. Angela helped and guided me, whilst always respecting my ideas and my project. She was always available and it was always a quick turn around with work I needed completed. I highly recommend Angela and her services and will be contacting her for future projects. Thank you for your excellent copywriting for my campaign. I was very impressed with how you interpreted my brief, set the right tone for my communication, developed the messaging and exceeded my overall expectations! Big thanks to Angela for creating something we can be proud to share with prospective clients. Though we never met in person we were able to see the project through via email and phone calls. Angela was friendly and easy to work with and would highly recommend her services to anybody looking for a professional and approachable copywriter.